Studying surface water bodies of the Russian Federation (rivers, lakes, reservoirs, wetlands), their regimes and resources. Carrying out theoretical and experimental research to improve methods for assessing and forecasting changes in the status of surface water bodies in terms of quantitative and qualitative indicators of water resources. Developing the theory and modelling of river runoff. Developing methods for calculating the basic hydrological characteristics for the design, construction and exploitation of various engineering structures on water bodies. Studying the formation of dangerous hydrological phenomena and developing methods for its assessment, calculation, prediction and control. Studying hydrological and ecological processes in water bodies. Studying water quality, water and chemical balances, including consideration of anthropogenic impact. Developing scientific principles for monitoring water bodies, constructing the hydrological network and the technology of collecting, processing and disseminating information on the status of surface water. Developing methods and means for the measurement of hydrological parameters, as well as specialized software. Assessing the impact of climate change on the natural conditions, the hydrological characteristics and water resources. Providing scientific and methodological support for work on the management of the Water Cadastre of the Russian Federation under the heading "Surface water". Creating and developing technologies for the maintenance of databases, and developing automated technologies for data collecting and processing. 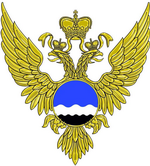 Organizing the All-Russia Hydrological Congress and international events.